New Mt. 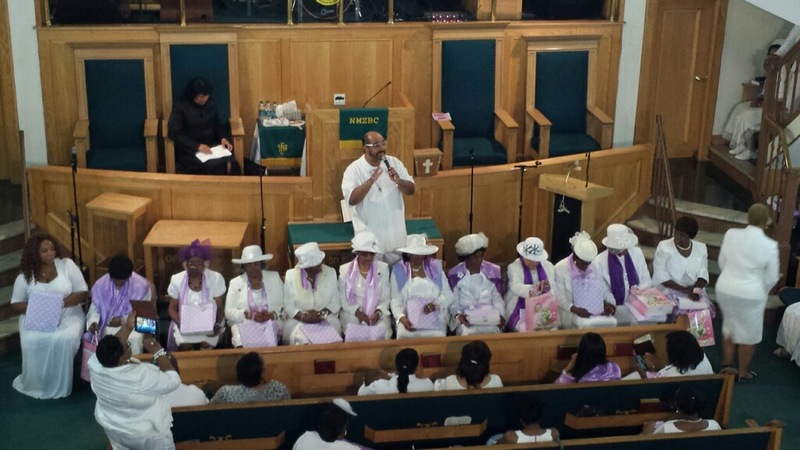 Zion Baptist church has been serving the Harlem community since 1918. In 1918, under the leadership of Rev. William Alfred Campbell, a small group met in the home of the late Deacon Nelson Holmes to organize a Baptist Mission. On July 7, 1918, they made the initial payment and took title of 171 West 140th Street, located in Harlem. 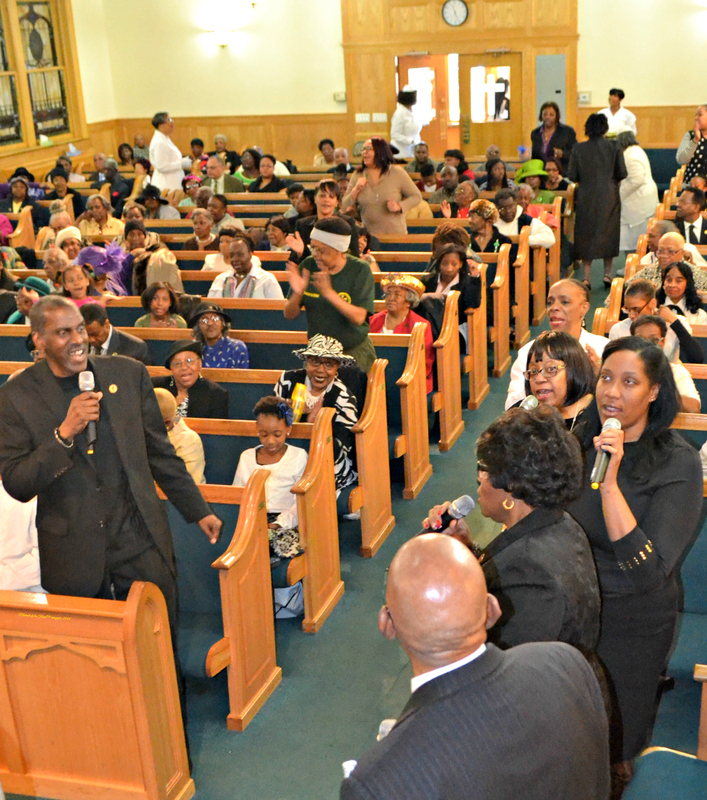 On July 17th Reverend Campbell, his wife Pearl, son Alfred and daughter Florence, along with four others held their first service. Several members gave their lives to Christ on that date, one being Clara Beach. 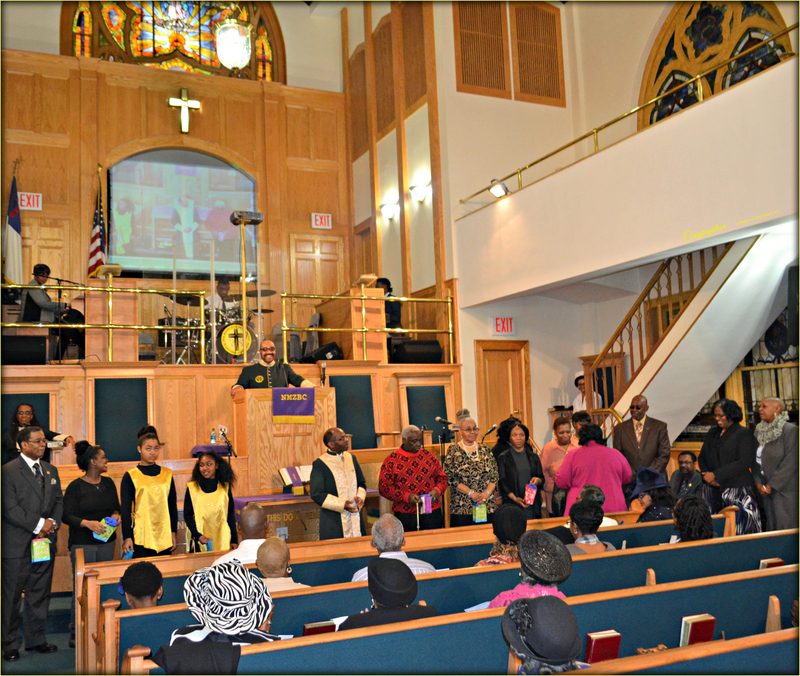 On October 11th an independent church was set aside under the name of Little New Mount Zion Baptist Church. At that time among many who came to Christ was Mother Sallye Sutton, who brought her son Matthew and her two daughters Ruth and Frances. Hence the Deacon Board, Trustee Board, Sunday School, Senior Choir and the Usher Board were first to be organized in this new work for the Master. The membership outgrew the original building in 1929, it was demolished and the present building was erected. 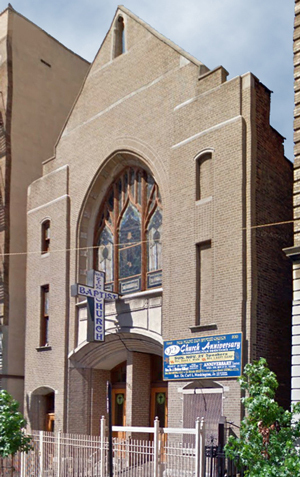 In 1934, under the reorganization of the church it was renamed the New Mount Zion Baptist Church. 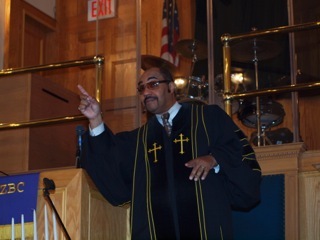 In 1938 Reverend Miles, with the permission of Reverend Campbell, went to the Bronx to establish the Goodwill Baptist Church and New Mount Zion continued to grow. In September 1953, Reverend Campbell suffered a stroke resulting in paralysis. Being unable to perform his duties as Pastor, he turned the entire operation over to the Officers of the church. An Advisory Board of seven people was appointed to handle the workings of the church and conduct all necessary business and report back to the body. In 1954, they elected Reverend Thomas Ridde” as Assistant Pastor. During this time the financial burdens became the responsibility of the Officers. With debts and judgments to be paid they came together, some with their personal funds to liquidate the more that $116,000 outstanding. During these years two members stood fast and prevailed through the struggle. Mrs. Ruth Chase Shelby, who joined in 1918, dedicated her entire life to the ministries of this church. She was President of the Senior Choir for 54 years, Church Treasurer, Mortgage Committee Chairperson and Pastoral Anniversary Chairperson, among so much more. Mrs. Shelby died on July 5th, 2004, after 86 years of dedicated service to the New Mount Zion Baptist Church. Also, the other person being Sister Lottie B. Hath, who joined in 1925, and whose name is synonymous with the Youth, Sunday School and BTU; she served as President of the Ushers, Church Financial Secretary and Secretary to Reverend Campbell. Sister Heath represented our church in Local, State and National organizations, which gained us eminent recognition and made sure our church was involved in every aspect of teaching and learning in Christian Doctrine. She lived to be 106 years of age. The Lord called her home October, 2005. 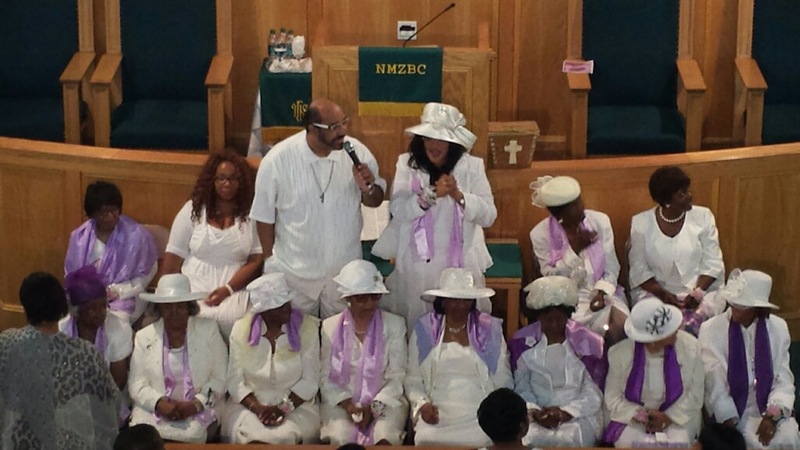 Sister Lottie B. Heath gave 80 of those years in service here at the New Mount Zion Baptist Church. There were many more who made personal sacrifices to keep these doors open; they have since gone home to be with the Lord. 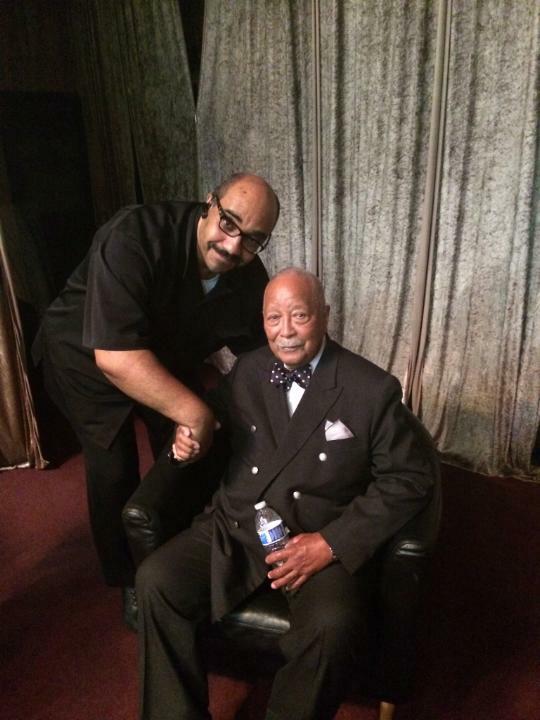 In 1958, the Lord sent us a new shepherd from Philadelphia, PA., in the person of Reverend Edward l. Satchell. Under his leadership the church took on a new vitality and a new vision. New auxiliaries were formed and a scholarship fund was established to encourage the youth of the church to further their education. Air conditioning and a new sound system was installed in the church. A church parsonage was purchased and Reverend Satchell helped to form and establish the first cluster credit union in this area. Mrs. Irene Satchell put her energy and interest into the youth of the church. She organized a Junior and Celestial Choir in 1959; she wanted to instill a sense of appreciation for Christian music to our young people. This wisdom and insight is evident in the fruit of her labor, as seen in our Minister of Music Professor Vermeil Denise Rhodes. Reverend Satchell was considered one of GOD’S greatest preachers and served until March 10th, 1994; he retired as Pastor Emeritus. Under his Pastorate, a great number became converted and accepted Jesus Christ as their personal Savior. 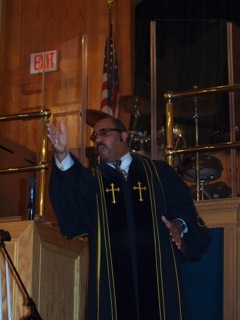 Among those, some were called to the ministry of preaching, namely: Reverend Adolph Roberts, Pastor of the Mount Calvary Baptist Church; Reverend David E. Penn, Pastor of the Macedonia Baptist Church of Connecticut; Reverend William Means; Associate Ministers: Reverend Robert Peterson (deceased), Minister David Lane, Minister David Thomas, the late Reverends Emmanuel Jones and Reverend James Mack. Deacons Samuel Whitaker, Earl Talley (deceased), Charles Lesene (deceased), Peter Nellis, Williams and George Eagle were left to manage the spiritual affairs of the church and did a wonderful job. Meanwhile, a committee was formed and the church began its search for a new shepherd. 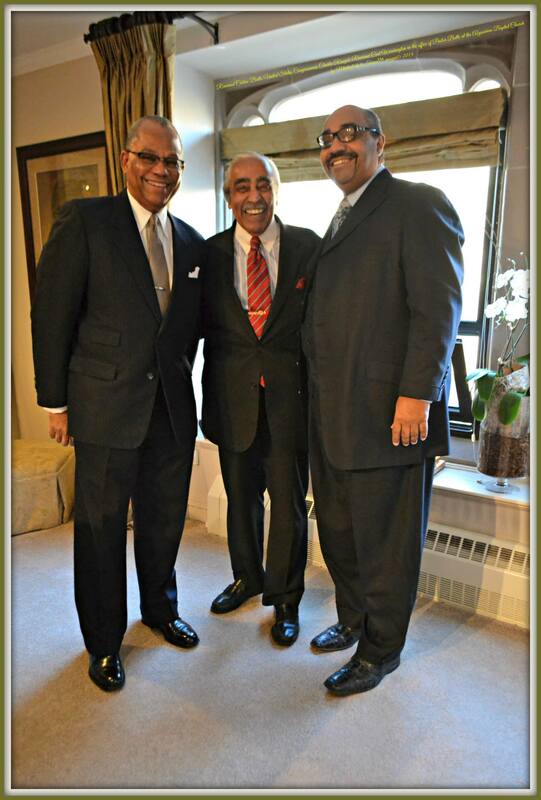 The Reverend Dr. Alan Stanley, then President of the Empire State Missionary Baptist Convention, came to us to offer prayer and support. 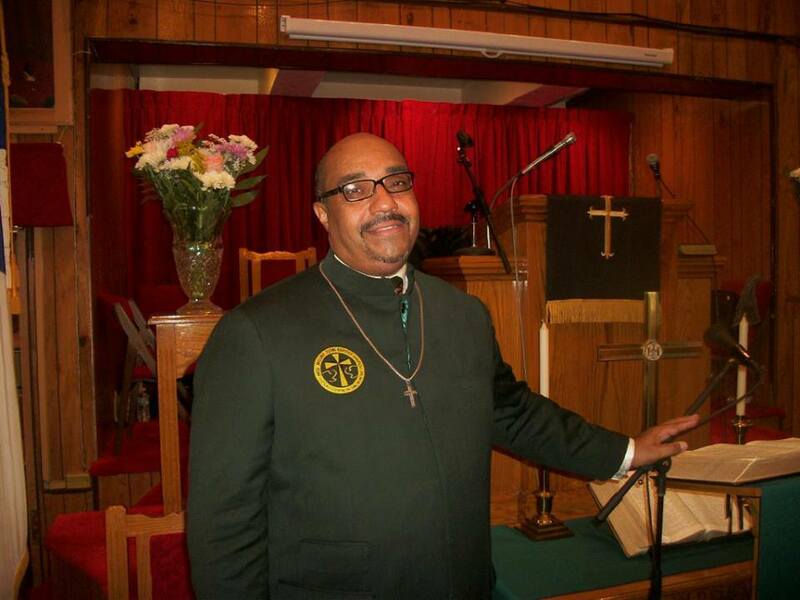 On January 18th, 1995 Reverend Satchell was called home to be with the Lord. Our prayers were answered on January 26th, 1995. 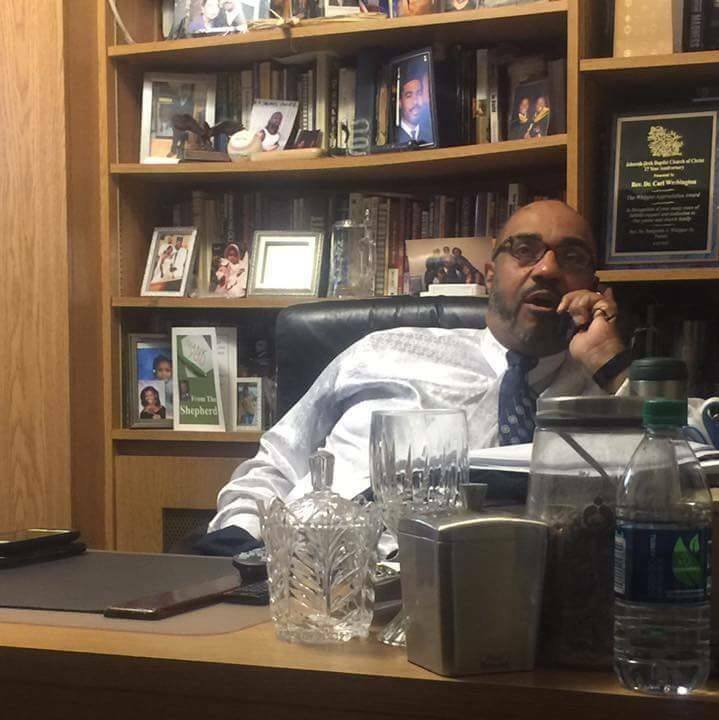 The church extended the call to a young man from Baltimore, Maryland, who was residing in Connecticut, the Reverend Carl L. Washington, Jr., and he graciously accepted. 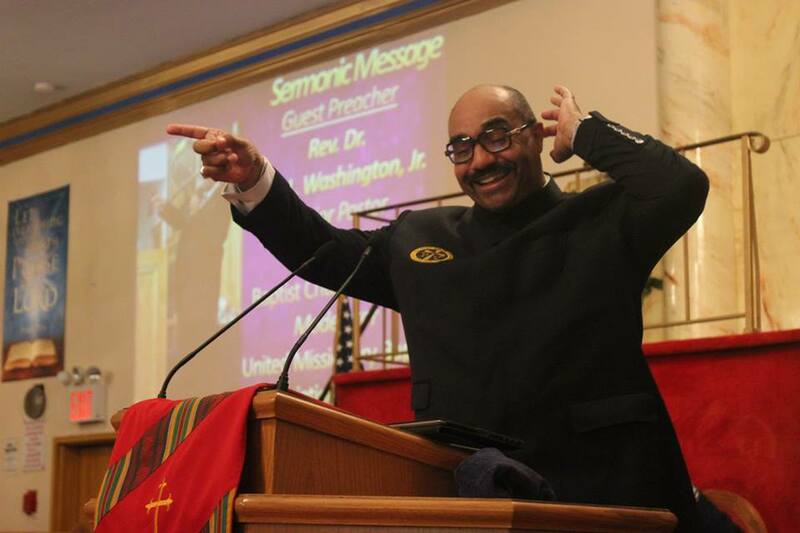 Pastor Washington is an energetic preacher and an excellent teacher of the Word of God. He has revitalized our ministries to a new level. Under his leadership we have acquired two vans, new computers and a newly remodeled organ. 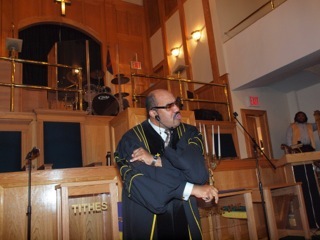 We have replaced the floors of the vestibule and the sidewalks; we now have wheelchair accessibility we’ve remodeled the Pastor’s Study; upgraded the kitchen, the ladies room and many other things. Going from “PRIVILEGE TO PURPOSE,” our vision became a reality in January, 2005, to October, 2005. The Upper Sanctuary was completely renovated to a place of beauty, a totally new inner building including a media room and monitor system. May, 2007, our beautiful Fellowship Hall was completed, where we can accommodate our church families and guest for various occasions. June 2007, we reconstructed our wheel chair-accessible ramp for our members and friends with disabilities. 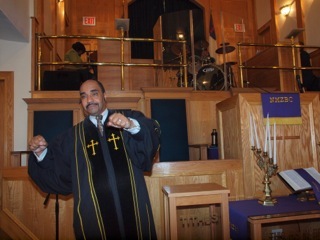 In August 2007, the Faith Bible Institute was organized here at New Mount Zion Baptist Church, a three year Bible-based curriculum, which leads to a diploma or certificate. Sister Bernita Washington is our Director of Education. On September 30,2007, God’s Promise 27 Seniors over 70 years of age were honored with certificates from five levels of government. 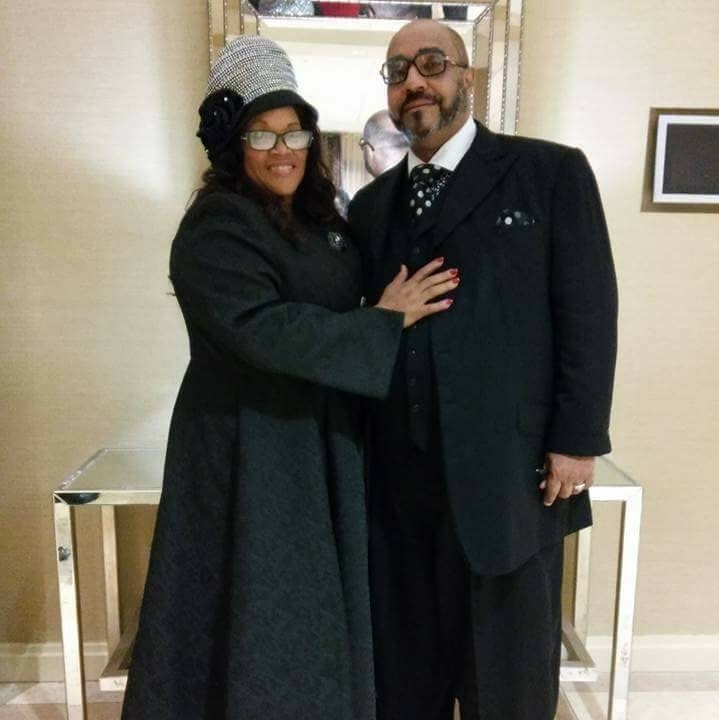 This historical event was the brainchild of the Willing Workers Ministry and became a reality through the effort of NYC Councilwoman Inez Dickens, also a member of New Mount Zion Baptist Church. To celebrate our 90th Church Anniversary, we received numerous proclamations and citations from the Ofﬁce of Assemblyman Keith Wright, Senator Bill Perkins, Governor David Patterson, Mayor Michael Bloomberg, Community Board 10, Councilwoman Inez Dickens, and last but not least, greetings from former President Gorge W. Bush. 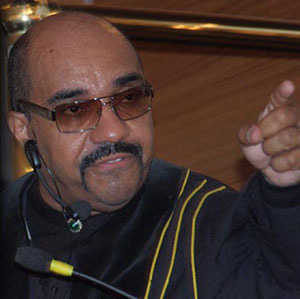 January, 2008: Four Ministers added to the Ministerial staff: Minister James Morgan, Minister G. Harold Williams, Minister William Nunery and Minister Gail Badger Morgan. November 2, 2008: Sister Garnett Dunston named as one of the mothers of the Church. April 12, 2009: Minister Lynnessa H. Joyner joins Ministerial staff. November 2009: New handrails added in the sanctuary and new gates installed outside of Church. December 2009: New doors added to the front of church and in the vestibule. 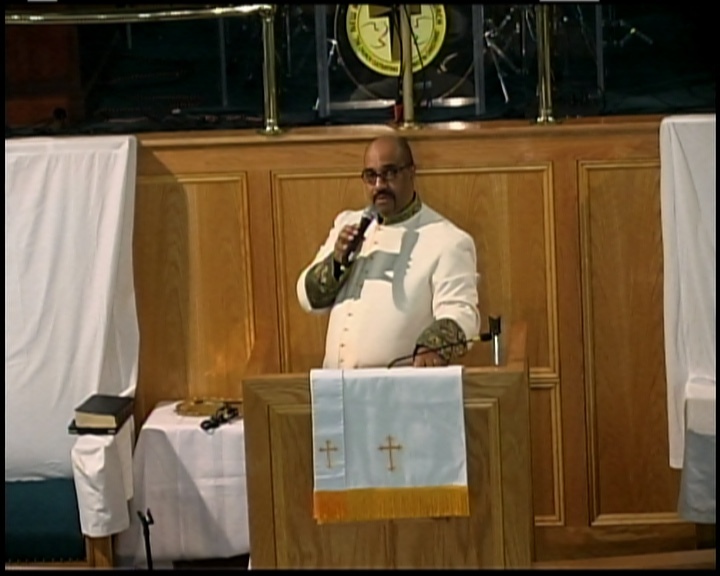 January 17, 2010: Brother Carson S. Washington gives his Initial Sermon. 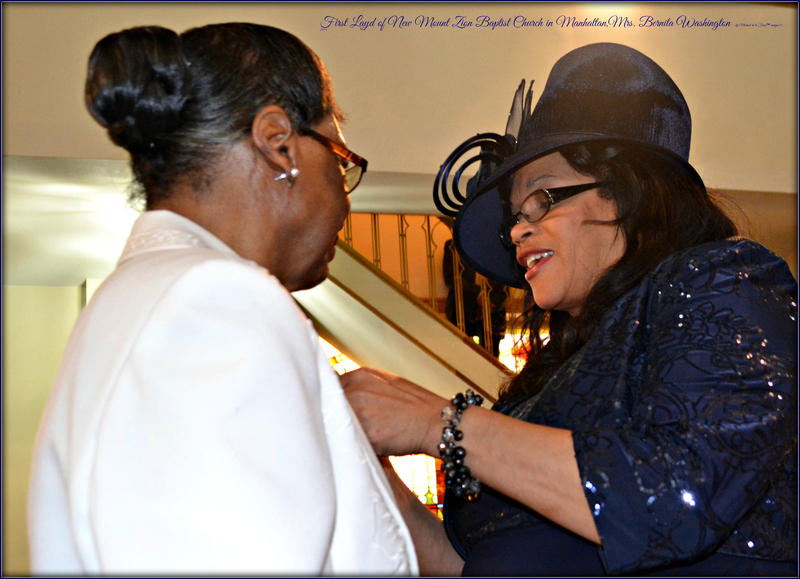 March 7, 2010: Minister Gail Badger Morgan is ordained. July 25, 2010: Sister Dorothy Williams becomes a mother of the Church. October 2, 2010: The Faith Bible Institute (FBI) had their first Baccalaureate Graduation. The first official class enrolled (18) students. 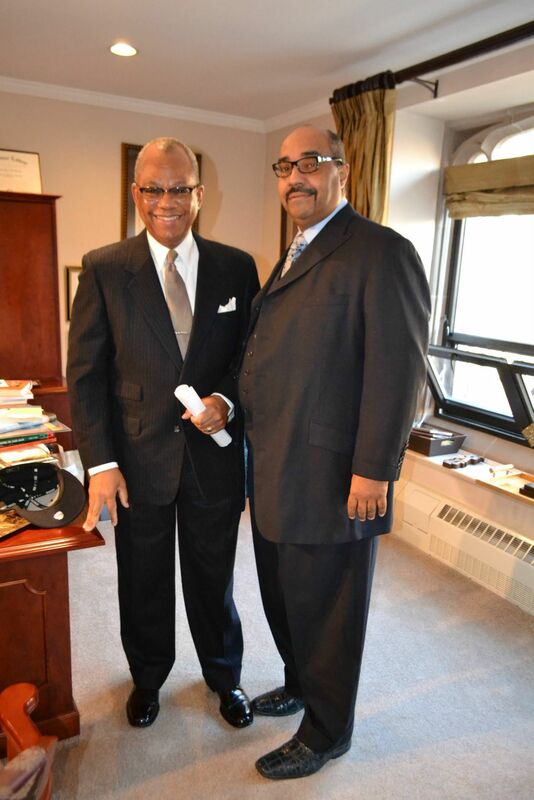 New Mount Zion Baptist Church is the only church in NYC to have Faith Bible Institute in place. This program is part of the Ministry of Christian Education, Sister Bernita Washington, Director and Sister Melissa Boone, Registrar. 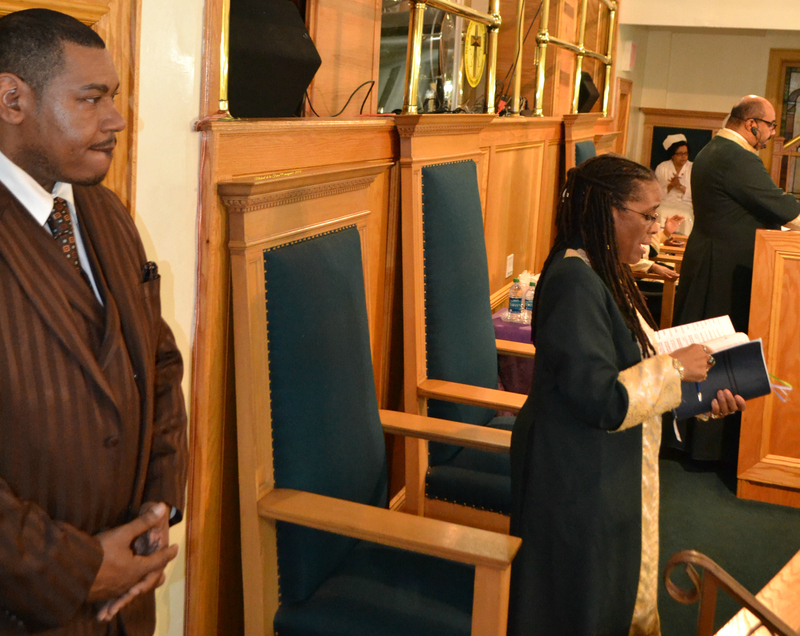 October 31, 2010: Sister Caura N. Washington delivers her Initial Sermon. February 1, 2012: New iMac computers purchased for Media Ministry. April 8, 2012: we were donated a defibrillator machine to restore the pulse. All of these machines are very costly, but in God’s own time He makes these things possible. 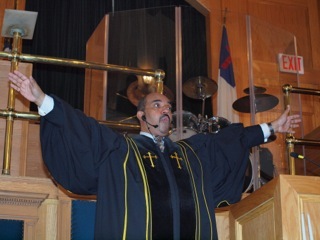 May 19th, 2012: Rev. Gail Badger Morgan receives a Doctorate Degree from ?????. January 20, 2013: Sister Eliza Sheard becomes the ninth Mother of the church. April 28, 2013: Sister Pearl Wolfe becomes the tenth Mother of the church. 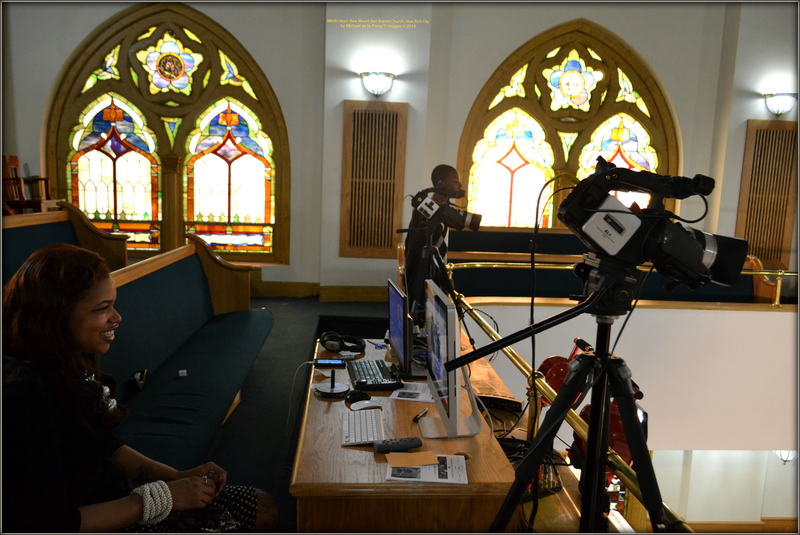 May, 2013: New high deﬁnition digital cameras purchased and service is live-streamed. 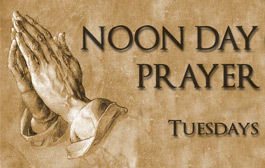 June 4th, 2013: Noonday Prayer Band re-named The Mother Anne Steven’s Prayer Band. August 5, 2013 Sister Sonja Buckner organizes the Daily Bread Ministry which prepares and serves over 100 individuals daily. 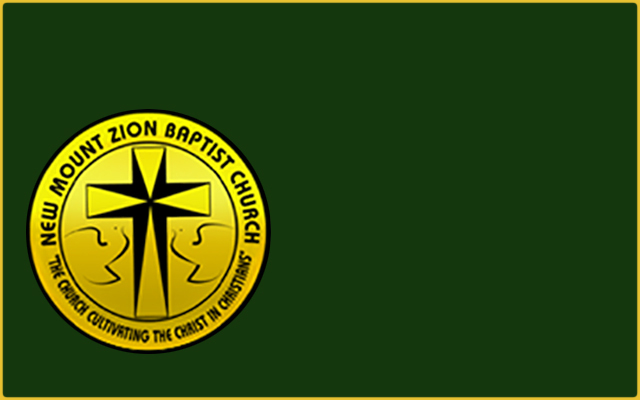 Announcements For The Month of January 2018: Celebrating 100th Year Church Anniversary 1918-2018. As we start another week please continue to pray for our Pastor, his family and each other. Have a great and Blessed week.